How to Download Tumblr iPhone without App Store? Tumblr download iPhone iOS has been not available in Apple App Store since November 16th because of the child sexual abuse materials. Apple Store removed it without hesitation as Tumblr iOS had obeyed its iOS guidelines which clearly state that all apps must have a content filter to screen out improper materials. Now that Tumblr iPhone is being punished, how can you download Tumblr iOS iPhone without App Store? [Updated] On December 13. 2018, Tumblr iOS app had returned to App Store following adult contents ban. Now, you can free download Tumblr for iPhone in its official version. 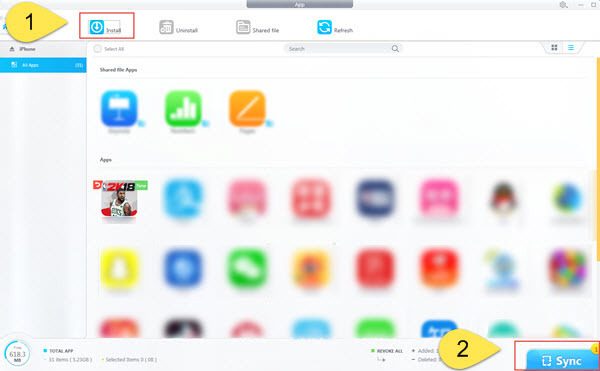 Manage files in shared file apps of iPhone iPad at will. Tumblr officials said that they are working to get the Tumblr app back on the iOS App Store, but the time is to be determined. So, maybe you have to be patient to wait for the official Tumblr app iOS download on App Store. Luckily, some IPA file download sites are still offering Tumblr app download for iOS iPhone and tumblr.com is also workable, which makes it possible for you to keep yourself updated with the trending posts at this special time. 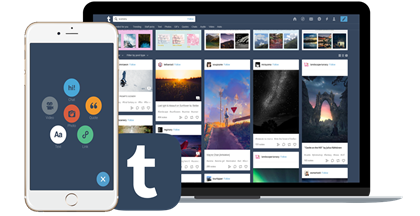 Tumblr is a microblogging network for social communication and media sharing, where you can post various topics with videos, audios and photos. Like Twitter, you can also follow others to know something new and fun. So, Tumblr app iOS is an on-the-go tool for you to publishing media files anywhere anytime as well as enjoy interesting contents freely without the need of downloading Tumblr videos on iPhone. How to Download Tumblr iOS iPhone without App Store? As Tumblr for iPhone is being blocked in App Store in all regions, you have no choice at present but turn to a Tumblr download iOS IPA file. You need to download the IPA file on computer and then install it to iPhone with a tool. Since iTunes no longer supports apps, you need iTunes alternative like DearMob iPhone Manager to help download Tumblr app IPA for iOS iPhone from computer. Step 2. Connect your iPhone to computer via USB, and tap "Trust This Computer" on your iPhone if necessary to manually authorize DearMob iPhone Manager to install Tumblr app for your iPhone. Step 3. On the main UI of DearMob iPhone Manager, click on App icon to enter the installation window. Step 4. Click on the Install button on the top bar, choose the IPA file of Tumblr iOS app you want to download to iPhone and click Sync button. Then, DearMob iPhone Manager will automatically install Tumblr app on your iPhone. Notice: How to Find Tumblr iPhone iOS Download IPA file? The first thing you should do is to find a trustworthy IPA file download site, surely. To make things easier, I have done the job for you. Sites like www.iphonecake.com, www.appaddict.org and appdb.to claimed that they support Tumblr download iPhone IPA, so just choose one site to find the Tumblr iOS IPA file to install on iPhone. Worth mentioning, the sudden disappearance of Tumblr iPhone is temporary, you are suggested to wait for the official version of Tumblr iOS for the sake of your iPhone safety. Alternatively, try Tumblr iPhone app alternatives like Twitter, Facebook, Blogger, VK, Instagram, Vine and Snapchat to enjoy and share happy moments when Tumblr is not working. How to Save Snapchat Videos on iPhone without Third-party App?